Maximize Efficiency. Minimize down-time. Do more with less. These phrases apply to nearly every workplace these days. And while the aim may be to boost productivity, what affect does keeping ahead of the competition have on employees? Stress. Heaping portions of it. According to the American Institute of Stress, 52 percent of adult stress stems from work - either an oversized workload or lack of job security. Ouch! During EveryBody Deserves a Massage Week, July 12-18, you can do something about it. Every year massage therapists and bodyworkers nationwide lend their hearts and hands to raise awareness of the benefits of massage, bodywork, and somatic therapies. So why not give your hard-working employees a much-needed health and stress break with a message? With NGC’s Spa and Wellness Gift Card by Spa Week, Spafinder Wellness 365 and Red Door Spa giving the gift of therapeutic massage is silly easy. The gift cards - a great way to engage loyal employees and cater to their every taste - are redeemable year-round at over 7,500 spa and wellness locations across the U.S., Canada and Puerto Rico. 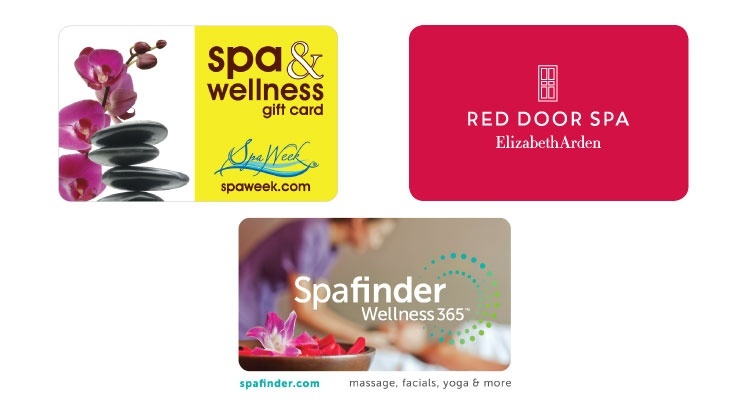 While giving the Spa and Wellness Gift Card by Spa Week , Spafinder Wellness 365 and Red Door Spa gift cards to employees is a great idea, don’t forget about your customers. Approximately 45 percent of small businesses in the United States use gift cards to reward employee and customer loyalty. Relieving your customers’ stress may be just as beneficial to your bottom line as helping your workers!